Everyone will enjoy the classic combination of Château de Valcombe Costières de Nimes White 2015 French wine and tasty nuts in this elegant gift box. It makes an excellent business gift, thank you present, or birthday gift. 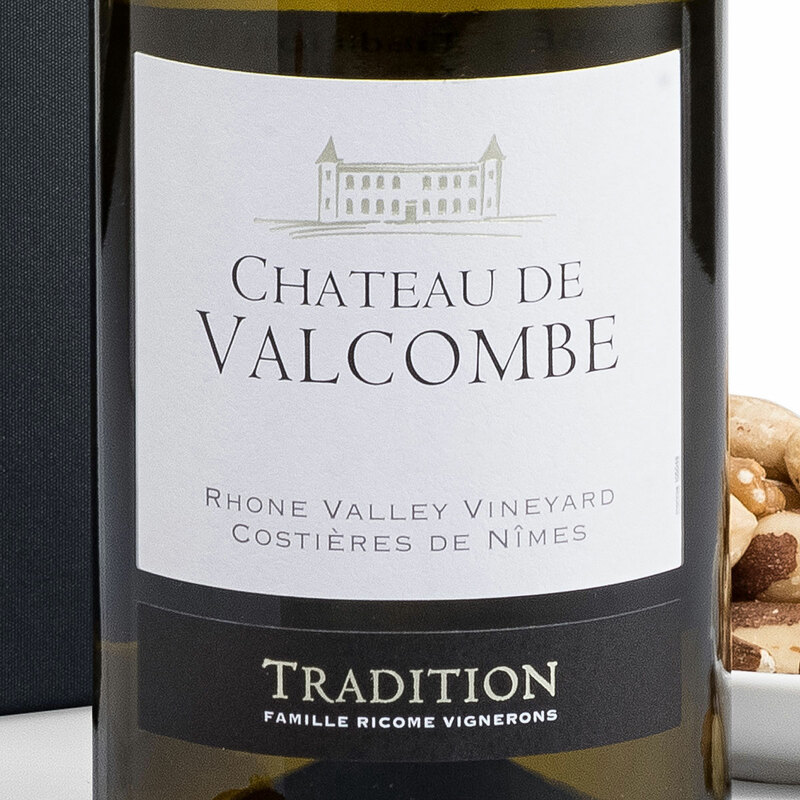 A family-owned vineyard in the Costières de Nimes appellation in the Southern Rhône Valley, the Château de Valcombe estate has been the home to vineyards since the 1700s. The soil encourages plants to grow extremely deep roots and a thin layer of limestone imparts freshness and minerality. Daily sea breezes cool the fruit during warmer months, creating conditions for peak ripening. 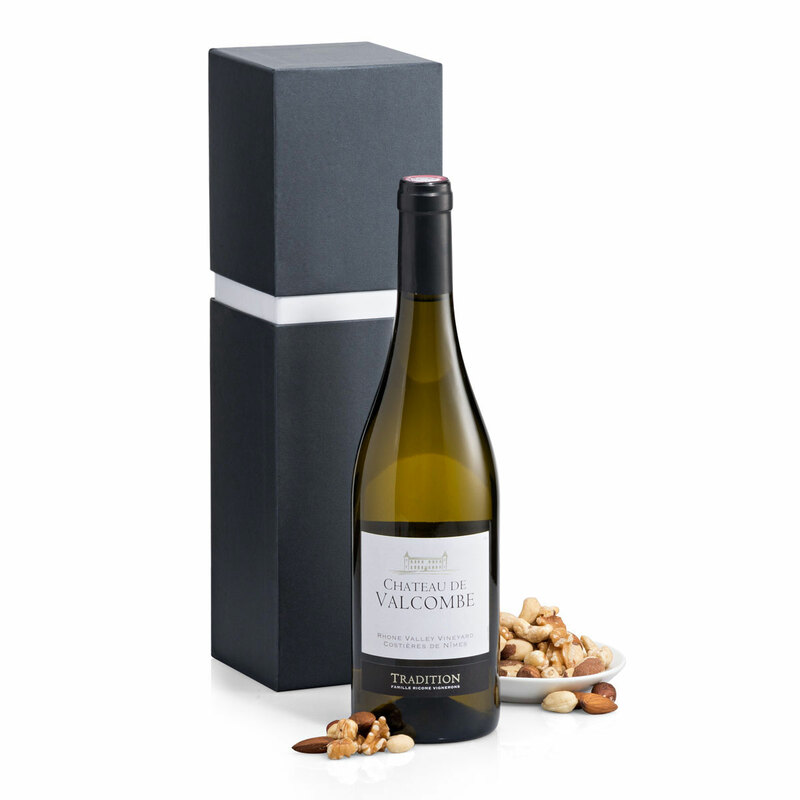 The direct and natural expression of the terroir Valcombe, their structured wines blend beautifully intense fruit aromas with surprising freshness.